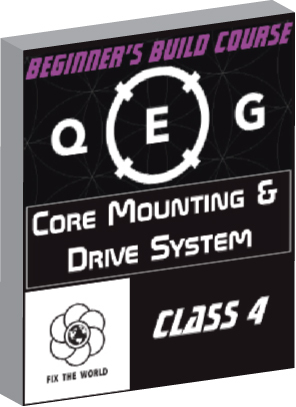 The QEG Beginner’s Build Course began live on ZOOM on January 17, 2015. Online classes occur every Saturday from 4-6pm EST. The FTW/QEG Team is recording all classes editing them, and making them available to the public to purchase for $35 USD each. Supporting document package is $5. You can still signup for the live class for $200 USD by registering HERE. We love latecomers! Details of type, weight and length for magnet wire for purchase/presentation of accompanying document; presentation and discussion of photos/video clips; assembling core components into completed core unit (installing shaft and shrouds on rotor, aligning rotor in stator bore, end plate installation); capacitor selection and recommended capacitor bank configuration. 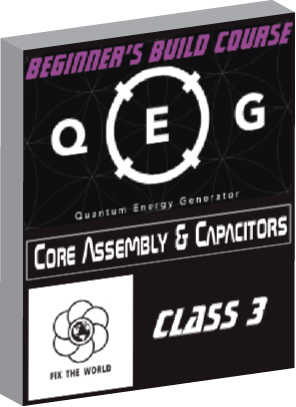 In this 10 week course you will be instructed on how to build the basic components of the QEG, get it to power a load from a source of electrical resonance (mechanically pumped parametric resonance), and investigate next/latest steps of co-development (results of the latest research and experiments will be discussed in first class and presented in classes 9 and 10). Our online meetings are held in a Zoom video conferencing room. PreviousDebut! 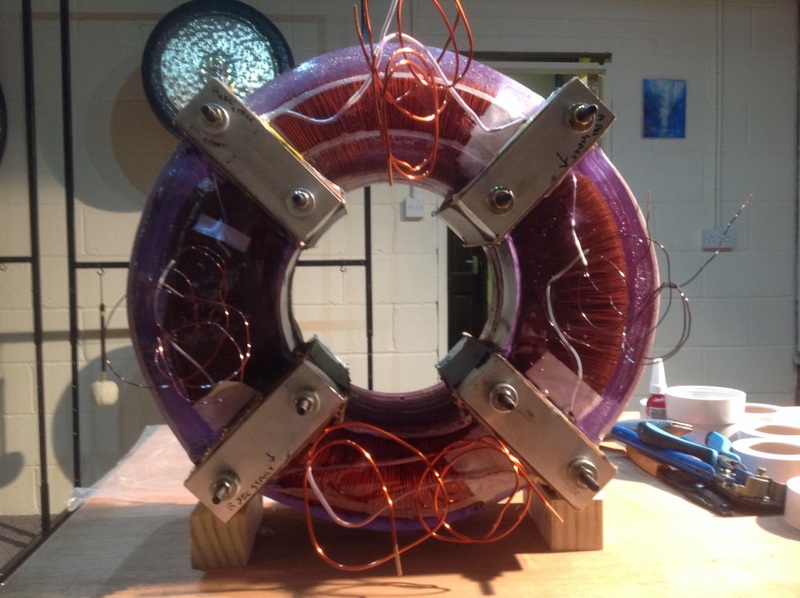 The Peoples Free Energy Show! Tivon Rivers Space Visuals Engineer.